Full Design & Artwork Services. Int & Ext Brand & Print Solutions. All Types of Banner Printing. Standard vehicle vinyl graphics and large range of solid colours, we can still offer fantastic design results that won't bust your budget. Fleet branding are very effective in helping your business promote it's services whilst looking professional & part of a large corporate. Full colour digitally printed vehicle wraps for any vehicle, van, car, bus, lorry, a very strong & effective solution to advertising your brand. Freshen up or give a new vibe to your existing vehicle then why not change it's colour. With vinyl wraps we'll colour change your vehicle fast. 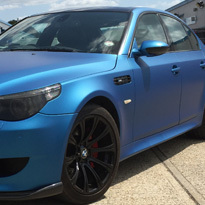 Carbon fibre wraps & detailing are the latest trend in vehicle graphics & is increasingly more popular. These materials will transform your vehicle. MOTORSPORT GRAPHICS, Wraps, Event Day Signage, Branding & Large Format Print Solutions. At It's a Wrap Branding UK we pride ourselves on providing the complete graphics and branding solution for the motorsport industry, track events, race days and all types of vehicle shows and we are always making sure we are delivering high-impact design, graphics and branding that stands out in a crowd. It's a wrap are professional vehicle wrapping specialists. 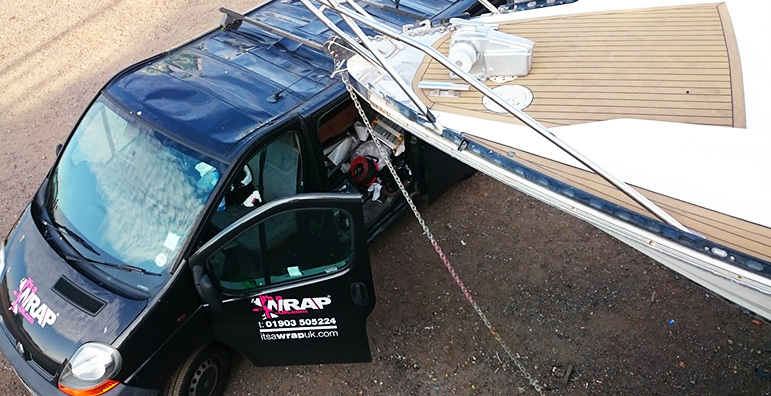 Wrap advertising is the marketing practice of completely or partially covering (wrapping) a vehicle in an advertisement or livery, thus turning it into a mobile billboard. This can be achieved by simply painting the vehicle surface, but it is becoming more common today to use large vinyl sheets as decals. These can be removed with relative ease, making it much less expensive to change from one advertisement to another. 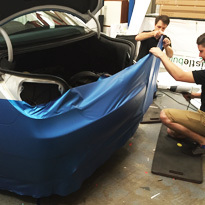 Vehicles with large, flat surfaces, such as buses and light-rail carriages, are fairly easy to work with, though smaller cars with curved surfaces can also be wrapped in this manner. 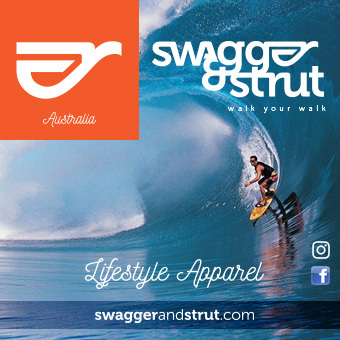 Total branding Solutions from retail to Restaurants to events and promotional events. Just some of the industry sectors we provide brand and event visual solutions for: Shop & Retail, Corporate & Office, Pubs & Clubs, Restaurants, Interior & Exterior, Sports Venues, Music Venues, Theatres, Hotels, Museums, Motorsport Events & Race Days, Trade Shows, On Location Set Graphics, Television and International. We offer a wide range of signage & graphic solutions aimed at providing the complete all round quality service. All types of banners, at any size, pvc, mesh, digitally printed or vinyl graphics we'll have the perfect solution for needs. Office frosting for that professional visual finish or to provide some subtle privacy in those certain areas. Event graphics and large format digital printing for a wide range of usees with the promotions and campaign industries. The complete logo design and branding service, from initial conception through to final company identity and guidlines. 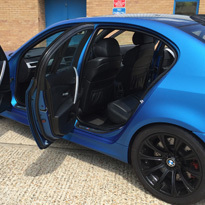 Carbon fibre wraps & detailing are the latest trend in vehicle graphics & is increasingly becoming more popular. Vehicle Wraps for Direct Line - TV Advertising & promotion - Christmas and New Year 2016. Full colour digitally printed vehicle wraps for any vehicle, van, car, bus, lorry, a very strong & effective solution to advertising your companies brand. Interior & Exterior branding project for Tropical Sky. Entrance Signage, internal wall prints, frosting & glass optical clear digital prints. 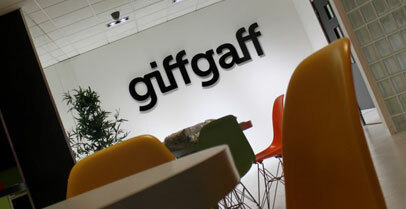 Branding project for GiffGaff. 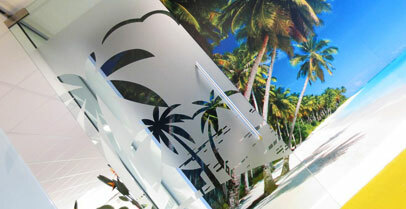 Directional Signage, wall prints, frosting & glass graphics. Creating a fun, vibrant & inspiring office environment. Established now since 2007 although our parent company has been going since 2001. We owe our success simply to our overall work ethic, valuable and experienced staff, loyal client base and continuous persuit for originality, creativity and perfection. Offering the a start to finish package from design to signage, print, production, application and installation. Call us to see how we can help your business. Certified & authorised 3M vehicle wrapping company “a relationship bound by experience, trust knowledge, quality and product understanding”. If you are simply too busy to come and visit us, then relax, we'll come to you. Drop us an email or give us a call and lets get things organised. 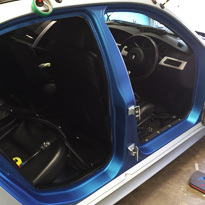 INTERNAL & EXTERNAL PRESTIGE Custom Wrapping Solutions. 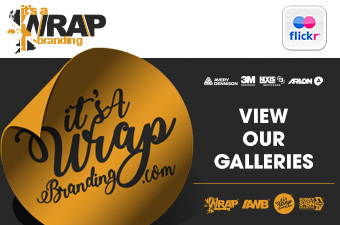 At It's a Wrap Branding UK we pride ourselves on providing the complete graphics and branding solution for the motorsport industry, track events, race days and all types of vehicle shows.